Hi all! 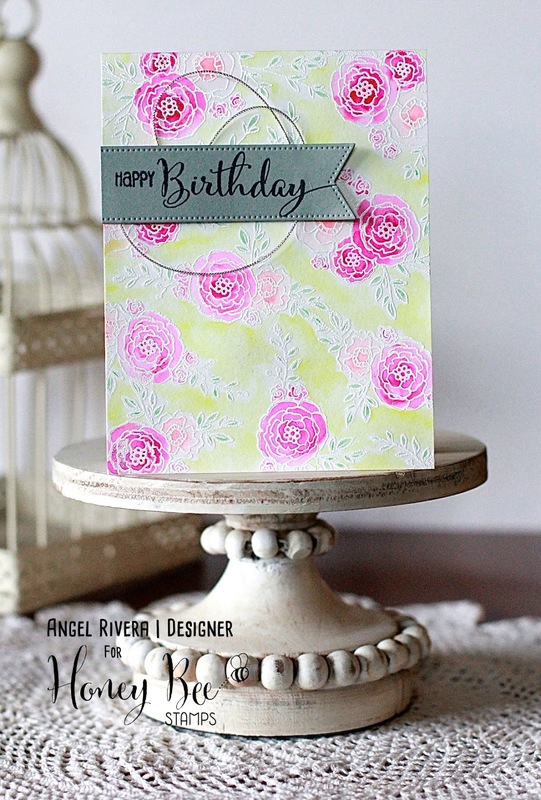 I'm here with a very feminine birthday card using the Honey Bee Stamps set, Country Blooms. I randomly stamped the flowers onto watercolor paper then embossed them with white embossing powder. I colored them with my Zig pens, blending with water and a paint brush. I then added some silver cord behind the sentiment from the Happy Everything stamp set. I added the yellow background to make it work for the CTD457. So pretty! Love your watercoloring. Thanks for joining us for this week's Color Throwdown! What a gorgeous background! Love it! So glad you were able to play along with us at Color Throwdown!